Launched in 1967 Dr.Hauschka is top of class in organic and natural skincare. Created by a medical chemist (Dr. Rudolf Hauschka) and a cosmetologist (Elizabeth Sigmund) the skincare range is said to be one of the purest available. 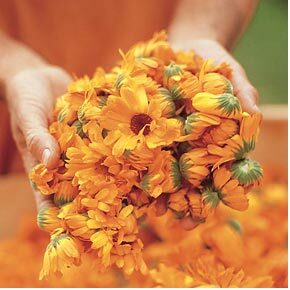 Certified by the German certification body, the BDIH, one of Dr.Hauschka's primary philosophy is based on the power of healing plants to restore and maintain healthy skin. The company behind Dr.Hauschka, who grow the ingredients in their own biodynamic garden or source them from fair trade biodynamic projects throughout the world, is WALA. ‘Nature‘s Treasures Transformed for You' is the underpinning philosophy underpinning WALA and correlates strongly with the respect they have for the fine healing gems nature produces for us. WALA was established in 1935 by Dr. Rudolf Hauschka with the aim to provide anthroposophical medicines for the people who most needed them. ‘Anthroposophy is a path of knowledge, to guide the spiritual in the human being to the spiritual in the universe,' according to Rudolf Steiner (the godfather of anthroposophy). The original grounding philosophies of Dr.Hauschka are ever still intact as the company continues to promote biodynamic farming and conscious environmental practices like sourcing only renewable raw materials or treating waste and rain water to recycle for flushing lavatories. No Dr.Hauschka product or ingredient has been tested on animals. The brand has won numerous awards of excellence. In just the last year it has won the premium beauty skin care range in last year's Beauty Magazine Awards, three awards at the Natural Health and Beauty Awards this year with highly commendations in nine other categories, The Sunday Times Style Magazine Best Ethical Brand, and the InStyle Best Beauty Buys - Toner. Julia Roberts, Madonna, Gwyneth Paltrow and Kate Moss are some of the celebrities touted to have Dr.Hauschka in their beauty bags. From premium face and body care, toiletries, make up, hair care, bath care and sun care Dr.Hauschka make an outstanding range of high quality, well-considered product line. 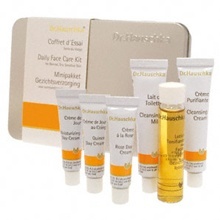 If you'd like to have a taster of Dr.Hauschka's products they make compact starter kits for £14.68.